A New Home and New Hope! 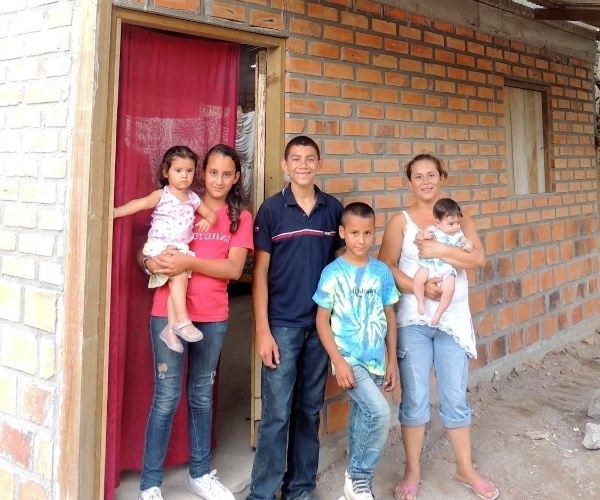 Lourdes has met her five children’s basic needs by selling oranges and praying fervently. She smiles and says that the Lord has been faithful and provided what her family needs, when they needed it. Now, years of prayers have been answered through a house for her family provided by HOPE Coffee. Lourdes praises her Father for this unexpected gift. Her life will still be challenging. Her companion, Santos, has eight children of his own from his previous wives and thus cannot provide for her family. Lourdes’ brother, and neighbor, is known as a thief. Nevertheless, both these men have beared witness to how God has brought blessings to Lourdes’ family. Please pray for Lourdes and her church’s pastor, Rigo, as they try to share the love of Christ with these two men and their families.